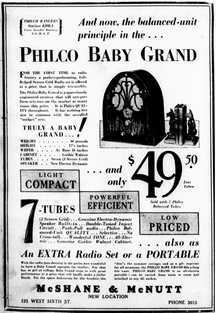 case of a product being in the right place at the right time. 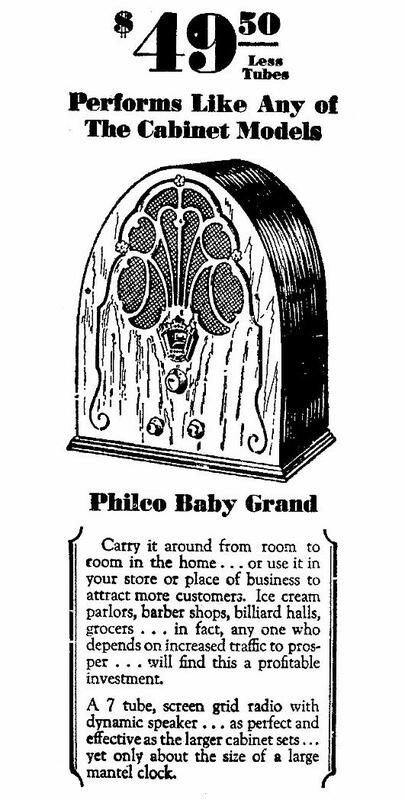 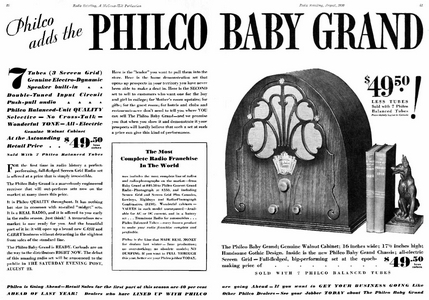 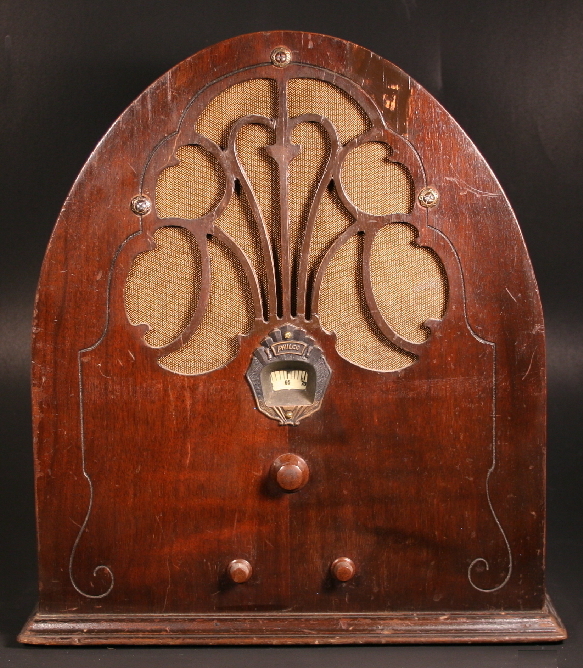 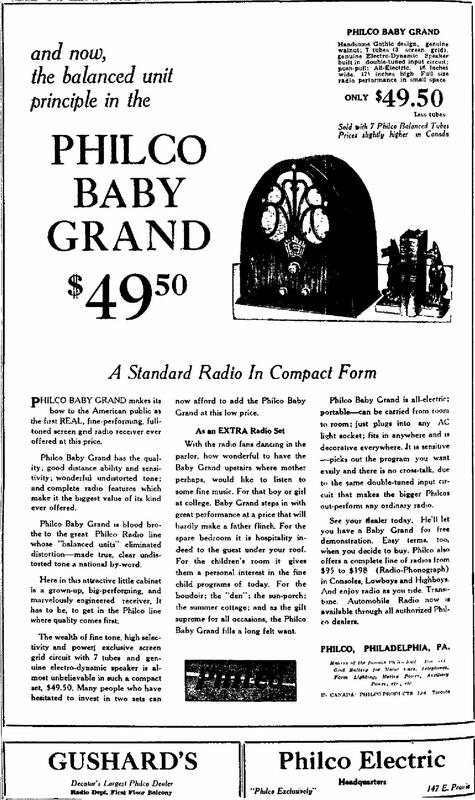 Philco Baby Grand...that big performing little radio. 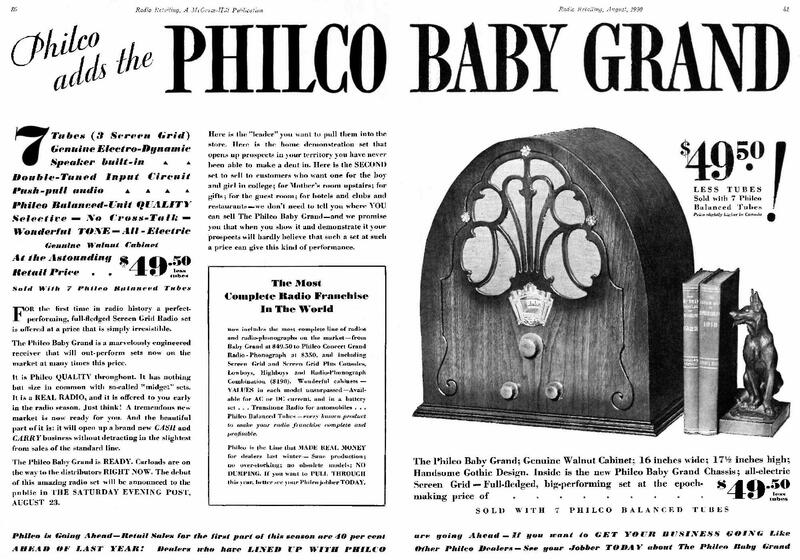 screen-grid TRF chassis featuring push-pull audio output. NostalgiaAir. 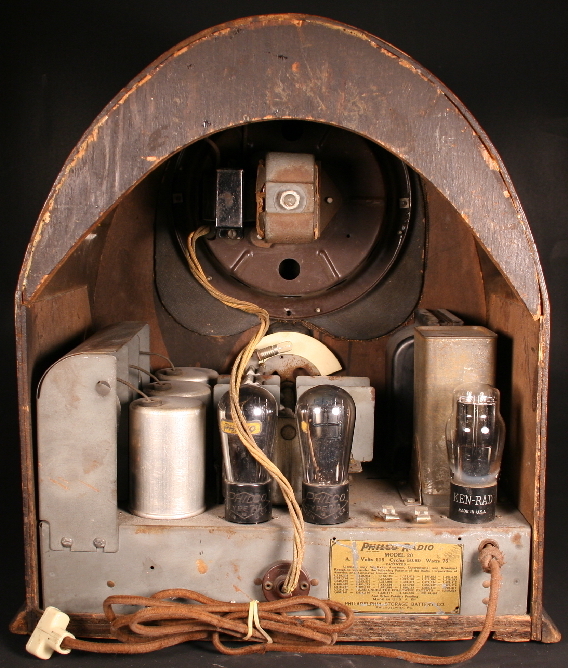 See rear (chassis) view here. 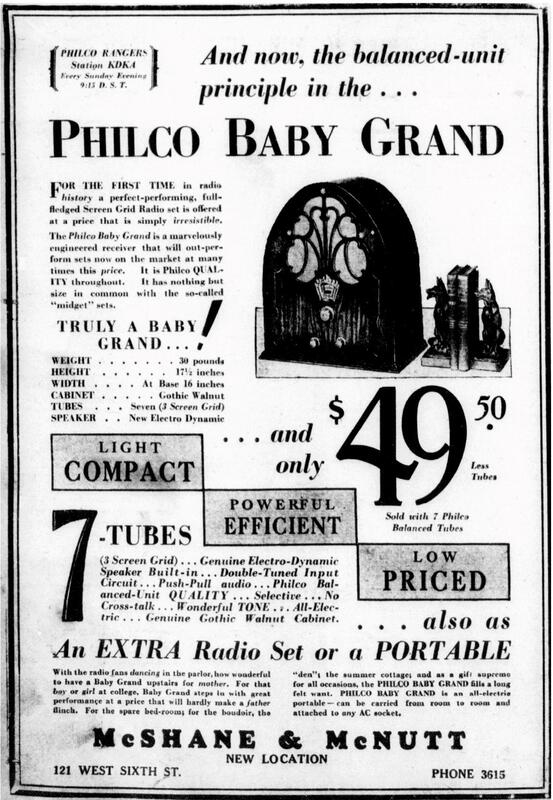 Advertisement in Radio Retailing, Aug 1930, pgs 80 & 81.